We are small, local, and family company. In today’s dynamic world, ensuring service convenience is essential to people and is the prerequisite for success. 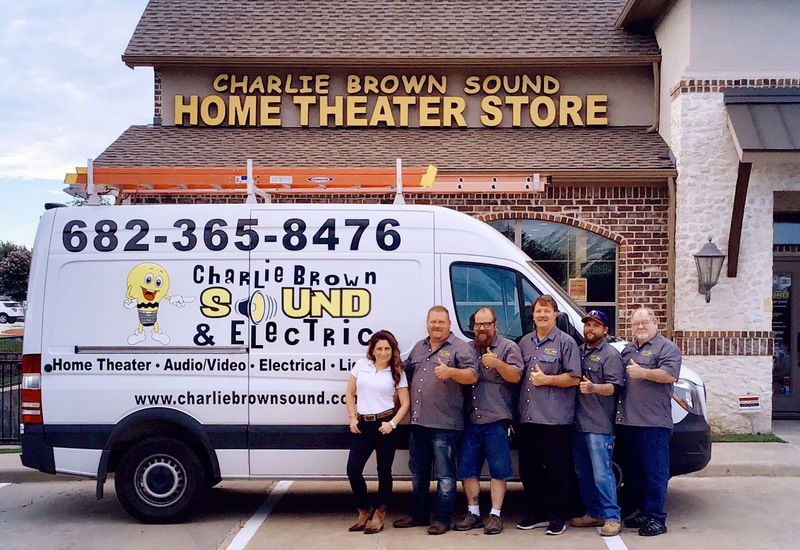 Based in Flower Mound, Charlie Brown Electric is a licensed Lewisville electrical contractor offering a wide range of services. We have advanced our expertise to become a superior electrical service provider under the excellent leadership of the owner Charlie Brown. Our Lewisville electrical services are optimal and applicable in different fields to include both personal and commercial use. We have rendered services to numerous organizations and private clients with the idea to follow high industrial standards. Charlie Brown is an expert in the electrical field. He has contributed to the electrical installation of San Francisco Airport, New York Post Office and other successfully completed projects. His overseas experience from Afghanistan indicates his dedication to his work by exceeding clients’ expectations. We are able to maintain high quality, cost effectiveness and technical efficiency that help us receive appreciation from our growing customer base. Achieving complete customer satisfaction is our priority. 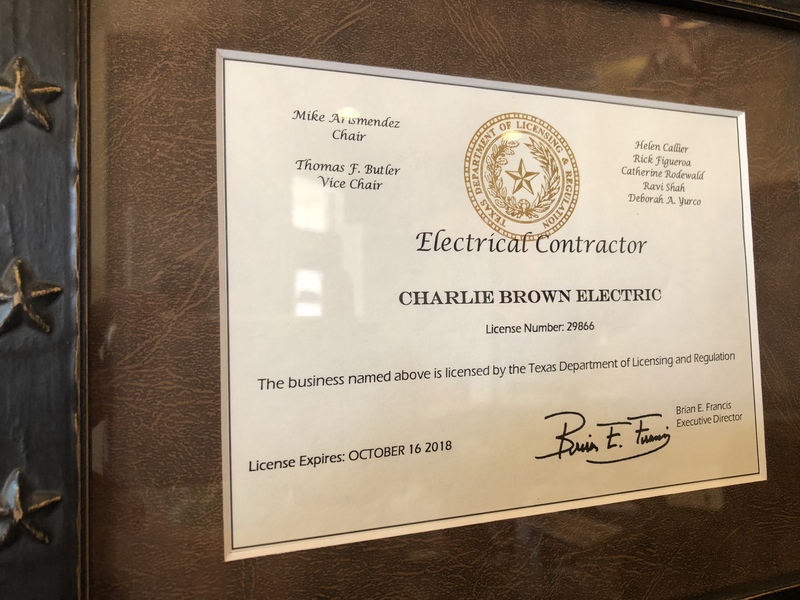 Charlie Brown Electric is a licensed and insured electrical contractor covering different aspects of electrical work from residential, commercial to industrial services. We carry $2 million insurance implying that your security is a top priority to us. With more than 25 years experience in the electrical industry, the company is proud to provide a wide range of high quality services to include indoor and outdoor custom lighting, automation controls, panels, switches, backup generators, and much more. The work is professionally guaranteed to the highest standards in the industry and delivered to our clients at an affordable cost. What’s most important, we at Charlie Brown Electric value our customers and strive to provide them with highly reliable services customized to their specific needs. We are licensed and insured electrical contractor that you can trust! We provide electrical services to residential and commercial properties! Our electricians are qualified, licensed, and experienced In electrical repairs, troubleshooting and new installation. Our business is build on solid reputation!